Boswell's Tree Surgeons - What&#;s New? 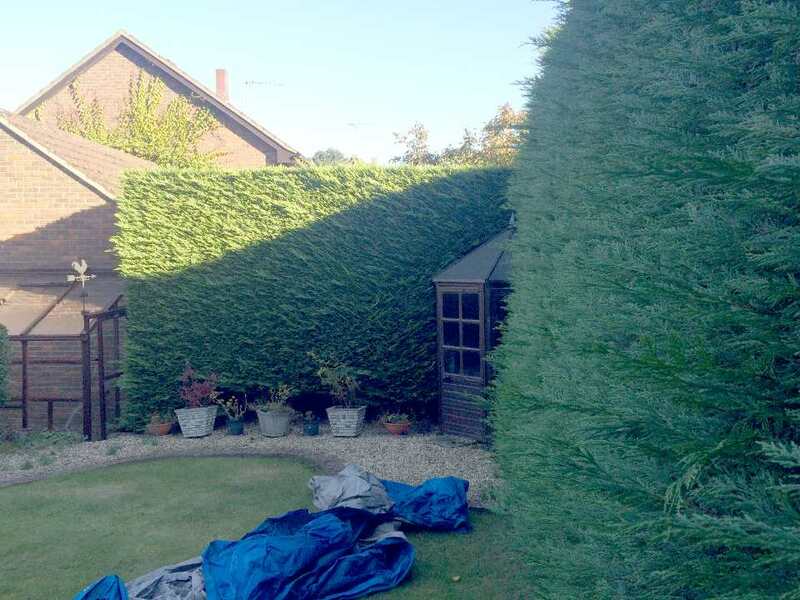 This very large hedge was something we could really get our teeth into, or our whole bodies in fact. 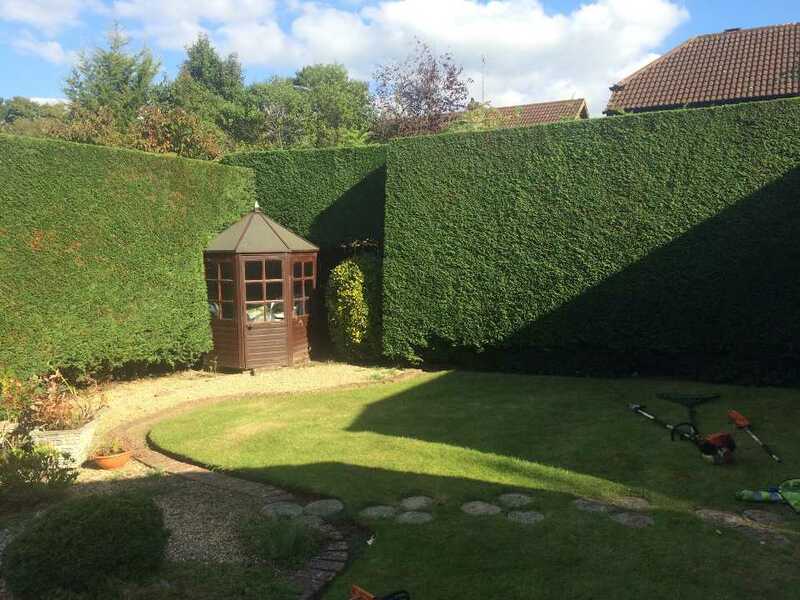 The result as you can see from the before and after images was a beautifully straight sided, tidy hedge with access to the garden outhouse being much easier. Sometimes, during work breaks, it is impossible to ignore the beautiful colours that nature places all around us. 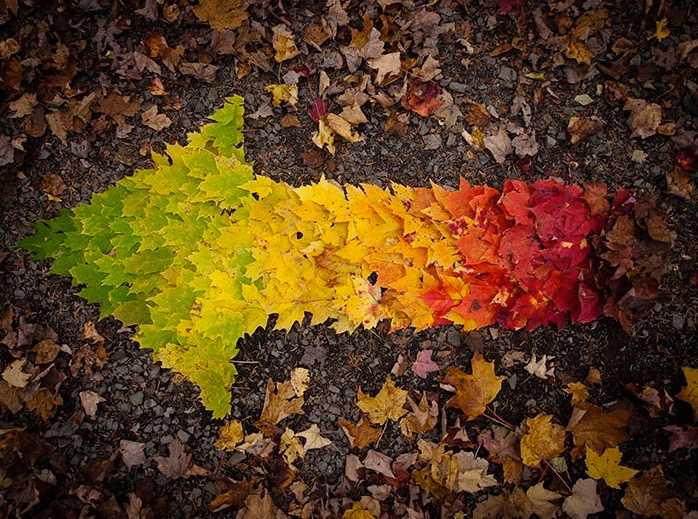 To make a 'one-way' sign out of different coloured leaves just seemed to be the thing to do at the time. Everything changes and moves on, especially in the world of technology. With home computers changing rapidly and search engines evolving daily, nobody can afford to ignore their site. So, welcome to the new-look Boswell's site, which has had a facelift to look better on wide screens and mobile devices as well as having more information and being easier to navigate. As always though, as a business comprising humans, doing work for humans, we always love to hear from you, so if you are in need of any tree or hedge works, just click in the header of any page to send us an email. We can't always answer the phone as we are very often up a tree and using both hands for surgery.